You might have read that Chairman of Alibaba, Jack Ma, has given $26m to Newcastle Uni in the papers this morning. The contribution will fund a range of scholarships for students from disadvantaged backgrounds. This is the biggest donation Newcastle Uni has ever received, and as an ex-student of the Uni and a strong believer in education I am moved by the gesture. As a marketer, I’m curious. Alibaba, one of the world’s largest e-commerce businesses. Photo via CNBC. I’m sure there are many reasons for Jack Ma’s gift to Newcastle Uni. The marketer in me couldn’t help but notice Alibaba is opening up an office in Melbourne today so the timing is uncanny. Nevertheless. This good news story from my hometown reminds me of literature around why we are moved to act in the first place. You might have heardSimon Sinek’s talk about the limbick and neocortex brain, two distinct sections of our brain. The neocortex is the outer layer of the brain if you like. It’s where all our rational thinking occurs. This is where we process information, understand it and consider our options. This part of the brain is very different to the limbick brain, according to Sinek. The limbick brain is where we process our emotions. How we feel. This is also the centre that decides how we act. And so. What has this got to do with Alibaba’s enormous gift to Newcastle Uni? I’m not saying Alibaba’s gift is irrational. It quite possibly is very rational. What I’m saying is Alibaba’s donation, the urge to act, is founded in strong emotion. Jack Ma met a Novocastrian electrical engineer, Ken Morley in China in 1980. They struck up a friendship and mentorship. The result of which, according to Jack Ma, gave him confidence “not to follow others anymore, but stick to my own thinking”. Jack Ma and David Morley. Image via AFR. What we can learn from Alibaba’s act? As businesses and people we are all brands. We have all got the ability to appeal both emotively and rationally. It’s quite powerful when we realise that people will act based on how they feel. It makes me think back to meetings when all my arguments stacked up but I still failed to move the stakeholder. Or the times when the arguments didn’t really make sense, but the support was there anyway. To be emotional isn’t being weak. It’s being smart. I’m not talking devilishly cunning. I’m talking about empathy. Towards the stakeholder and yourself. If people make decisions that don’t make sense based on the facts, chances are, they make sense based on emotion. And emotions are complicated. More often than not, it has less to do with us and more to do with how the other party feels. A brand is a promise, that when kept builds a strong position in people’s minds. In peoples limbick brains. Branding is about character. About what we sense about a person or a company. We are simple creatures, and so branding helps us digest complex information to make simple decisions. This is why it pays off big time for all of us to consider who we are and why we do what we do. Its liberating when your purpose is released because it guides you and the people around you. Jack Ma chose to give to Newcastle Uni to help cultivate future leaders from all backgrounds. He could have made many choices with his $26m yet, this is what he decided to do. We move in mysterious ways. Once we understand this, we are liberated. Because sometimes its hard to explain why we do what we do. In fact, the language component of our brain sits in the neocortex. So this is why we have such a hard time expressing our emotions. Its just a feeling, an instinct. And instincts have helped us thrive for hundreds and thousands of years. We should all listen to them more often. It can save us grief and open otherwise irrational, yet enourmous opportunities. Like the one about the Chinese boy who failed his college exam twice, worked at KFC and went on to found what is now handling a quarter of the world’s e-commerce, Alibaba. Lucky for Newcastle and Newcastle Uni, there was a man called Ken Morley travelling to China in 1980, who struck a friendship with this boy and was able to deliver to Newcastle Uni to an extent that has not been done before. It mightn’t make sense, but it feels great. Another win for Newcastle. Can you feel the change? This article was featured on the CEO and CMO thought leader platform Which-50 in February 2017. 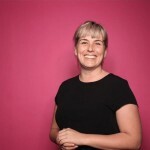 Cathrine Long is the Founder and Director of Long & Co.We believe that as a small-to- medium business, you want freedom to grow. We believe you want marketing that works. As a leader you are looking for an alternative to inefficient agencies and fly-in-fly-out consultants. Long & Co is your marketing partner. 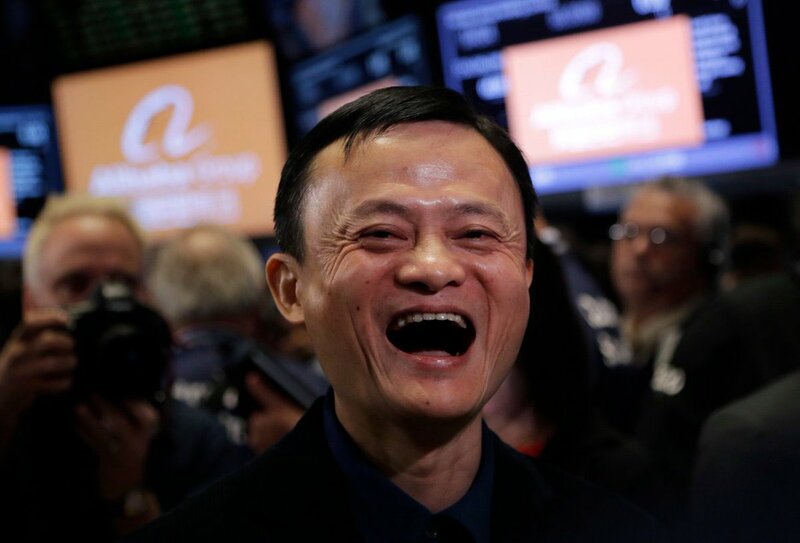 *Feature image of Jack Ma via @BrianRoemmele.